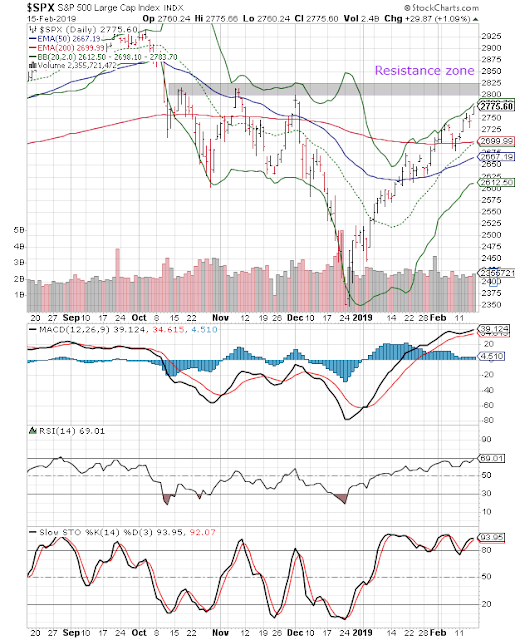 The pullback rally from the Dec ’18 low on the daily bar chart pattern of SPX 500 received good support from the 200 day EMA, and gathered strength as it climbed along the upper Bollinger Band. The index is trading above its three EMAs in bull territory. The ‘golden cross’ of the 50 day EMA above the 200 day EMA will technically confirm a bull market. 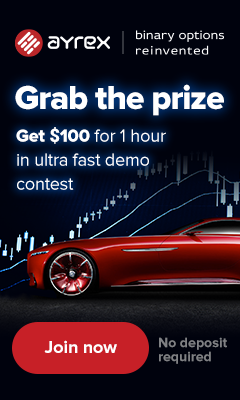 Bears may try to prevent that from occurring by defending the ‘resistance zone’ between 2800 and 2825 – which had proved to be a strong hurdle for bulls back in Oct and Nov ’18. Daily technical indicators are looking overbought. MACD is rising above its signal line in overbought zone. RSI is poised to enter its overbought zone. Slow stochastic has re-entered its overbought zone, but is showing negative divergence by touching a lower top. Some consolidation around current level is possible before the index makes an attempt to cross above the resistance zone. On longer term weekly chart (not shown), the index closed above its three weekly EMAs in a long-term bull market for the third week in a row. Weekly MACD is rising above its signal line in bearish zone. RSI has crossed above its 50% level. Slow stochastic has entered its overbought zone. 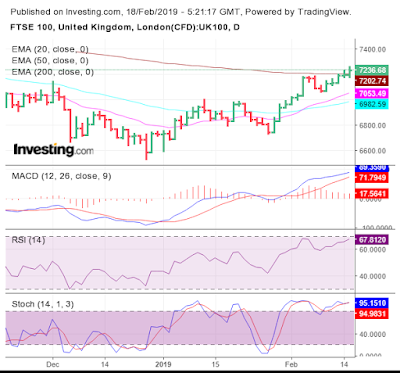 The pullback rally from the Dec ’18 low on the daily bar chart pattern of FTSE 100 rose above its 200 day EMA and closed in bull territory after 4 months – gaining 2.3% on a weekly closing basis. Bulls are winning the battle but are yet to win the war. The ‘golden cross’ of the 50 day EMA above the 200 day EMA, which will technically confirm a return to a bull market, is still awaited and may take a while. Daily technical indicators are looking bullish and overbought. MACD is rising above its signal line in bullish zone. RSI is rising towards its overbought zone. Stochastic is moving sideways inside its overbought zone. RSI and Slow stochastic are showing negative divergences by touching lower tops. Some consolidation or correction is likely. On longer term weekly chart (not shown), the index closed above its three weekly EMAs in long-term bull territory after more than 6 months. Weekly technical indicators are looking bullish. MACD is rising above its signal line in bearish zone. RSI is rising above its 50% level. Stochastic is rising in its overbought zone, and can trigger a pullback.